There were only 1,000 megawatts of solar power in the entire world in 1999. Just the state of Arizona has more than that today. 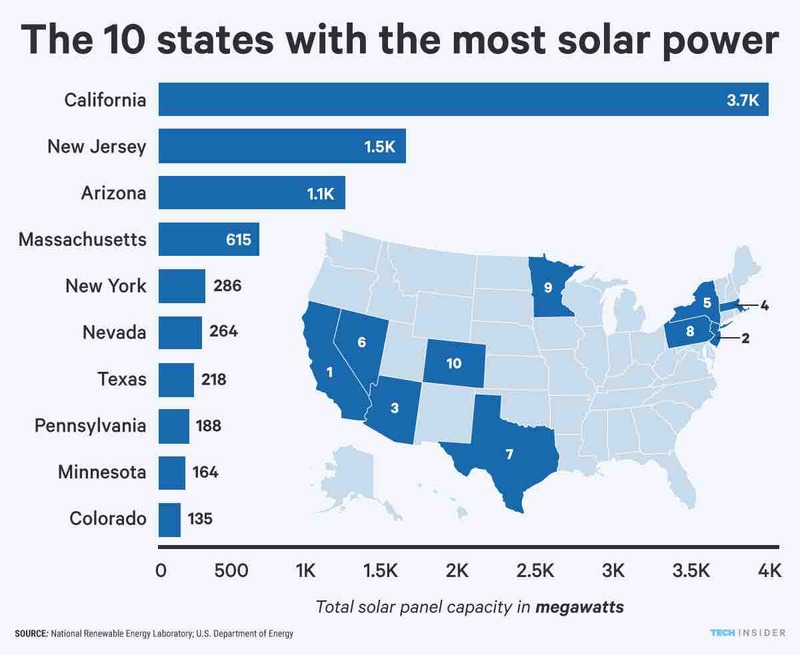 Every state on this list has adopted a renewable energy standard -- a goal to get a certain percentage or amount of its energy from clean sources by a particular year. For example, California plans to get half of its energy from renewables by 2030; Colorado wants to get 30% by 2020.